The Norfolk and Suffolk borderlands seem to have been specifically designed by xenophobic Anglo-Saxon bureaucrats to be the wildest and wooliest parts of either county. Honestly, sometimes it can feel like you need a passport. The lanes are narrow, and, apart from one or two major border crossings, there are tiny bridges and fords in the middle of nowhere that take you across the two rivers that divide the counties. You expect customs officers to leap out of the hedgerows. 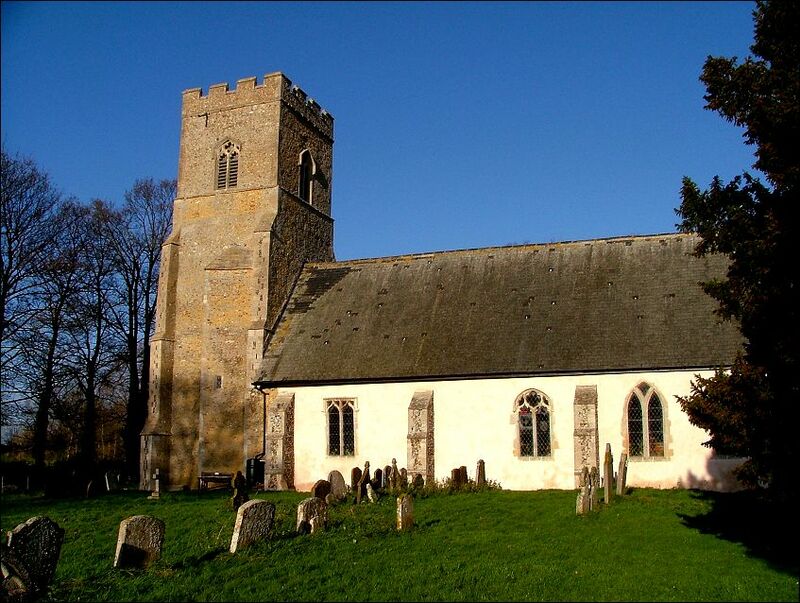 In the middle of this wilderness, almost exactly halfway along Norfolk's underbelly, is the parish of Blo Norton; hardly a village at all really, just a straggle of pretty houses along insignificant, deep-cut lanes that lead down to the infant Waveney. 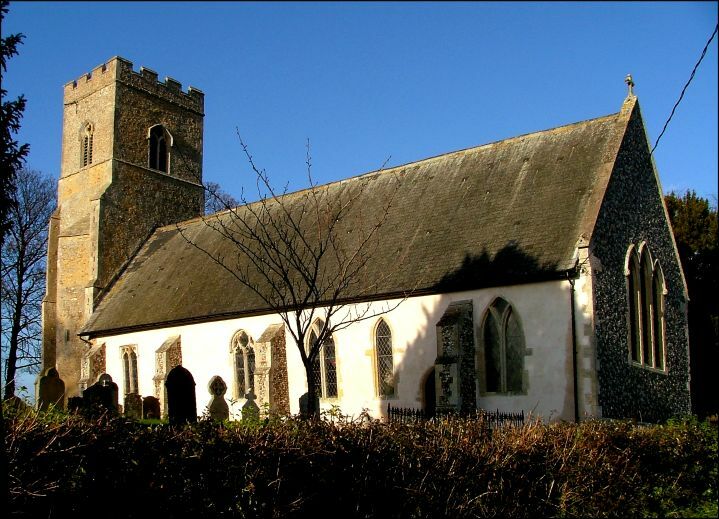 It can feel as remote as anywhere in East Anglia, but this is part of a fortunate, welcoming benefice where the churches are open every day. 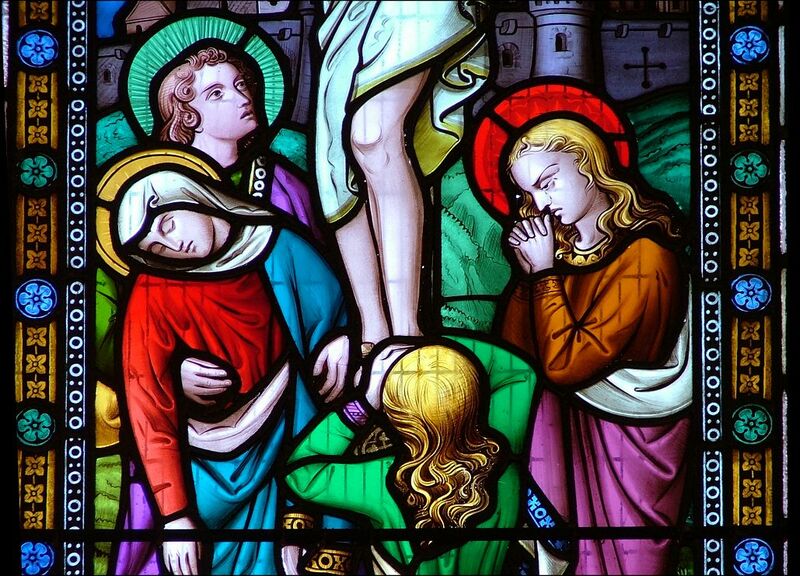 Under the circumstances, it was with some surprise that we came out into the triangle formed by the meeting of roads beside the church to find it packed with cars; like sardines squeezed along the bank of the graveyard, and humped up on the verge where the road was wide enough. Our first thought, naturally, was a wedding - but the week before Christmas? Surely not. And in any case, these were just ordinary, winter-dirty country cars, not the valeted sort that get driven to weddings. A poster on the tree above the lane revealed all. It was the annual Christmas fair. Now, I always approach such events with mixed feelings. You know that the church will be open, but also that features of it may be obscured by stalls and decorations. Also there's the chance that someone will treat you with suspicion. However, I decided to risk it. I knew that St Andrew contains no significant medieval features, but it does have a window by the great William Wailes, and this was unlikely to be obscured. And, in addition, I had always found the people around here thoroughly friendly and welcoming. This dreamy state of fellow-feeling was to have a rude awakening half an hour later at West Harling, but for now I wallowed in it, and walked up to the church. Well, the little building was packed. Blo Norton must be a busy parish. 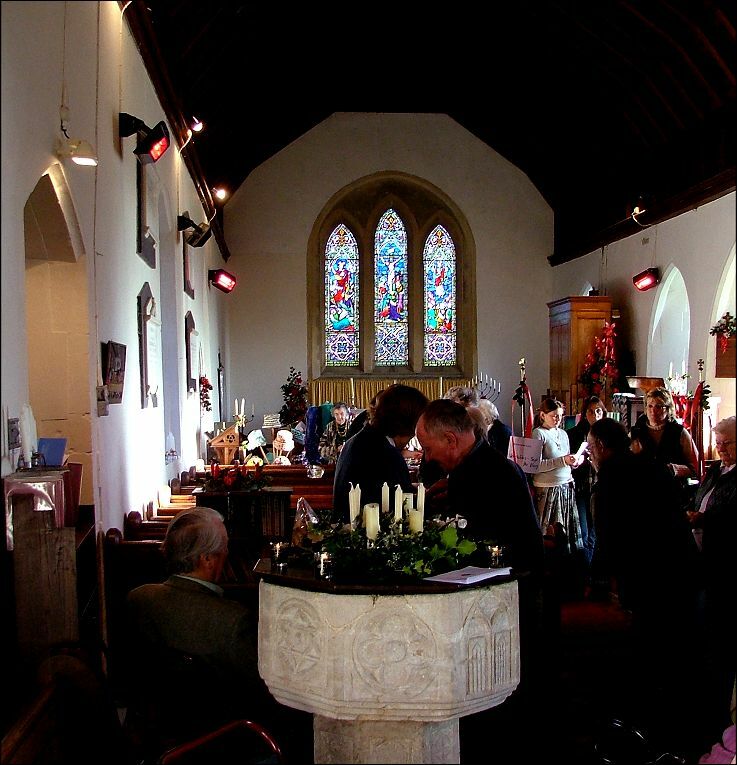 I stepped into the narrow nave, and about 25 people were crammed in between the pews, chatting happily, drinking steaming mugs, going in for raffles, buying cakes and decorations, rifling the books stall, and so on. It was very warm, and there was a smell of mulled wine, a feeling of Christmas impending in the midst of Advent. It was great. I explained my mission to the woman on the door, who promptly sold me a strip of raffle tickets and directed me to the east. In some churches, you can blend into the background. But St Andrew is so small, and everyone was so friendly, and I was the only person that nobody knew, so it took me about five minutes to make my way up to the east end. 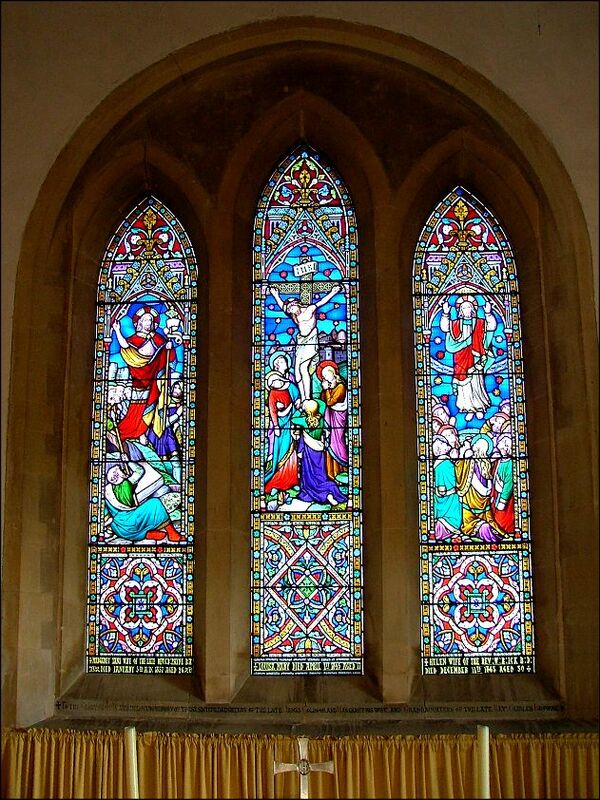 For here is the fine William Wailes window. 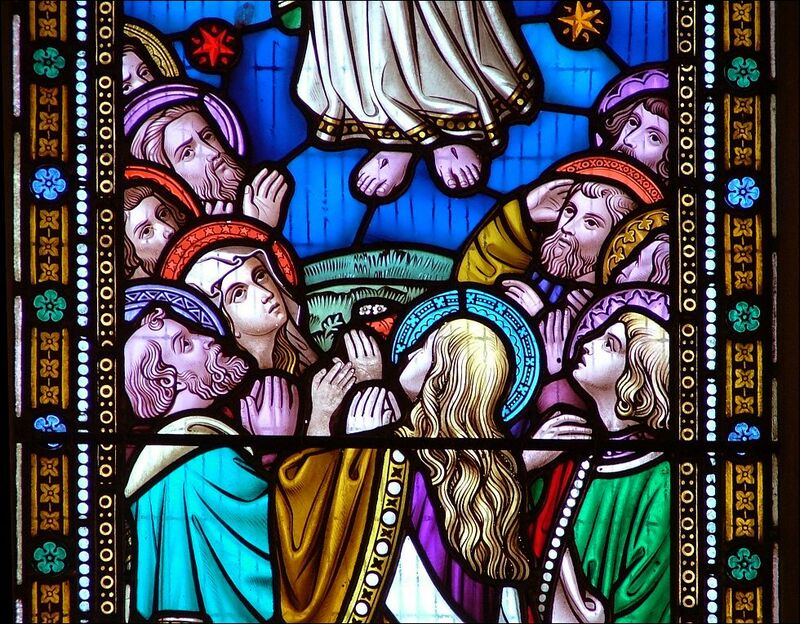 It is set in a 19th century exercise in Early English tracery, and it depicts the Crucifixion, flanked by the Resurrection and the Ascension. 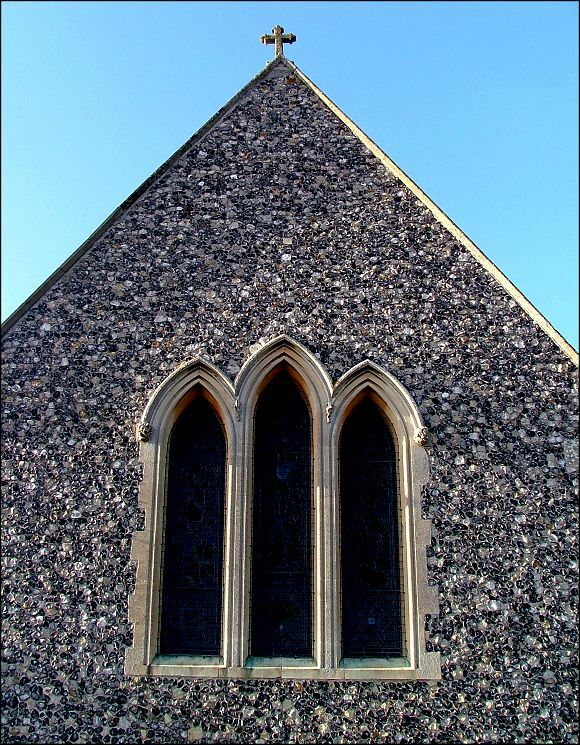 Pevsner dates it at 1863, and the subject can be a sombre one at this time; but here, a hushed spirituality shines through in Wailes's simple shapes and light colours. His 13th century style suits the triple lancets perfectly, as if we were in a side chapel of a French cathedral. I think that the window is absolutely beautiful. In the north-west corner of the nave (it took me a while to get back there, I can tell you) is a fine royal arms. 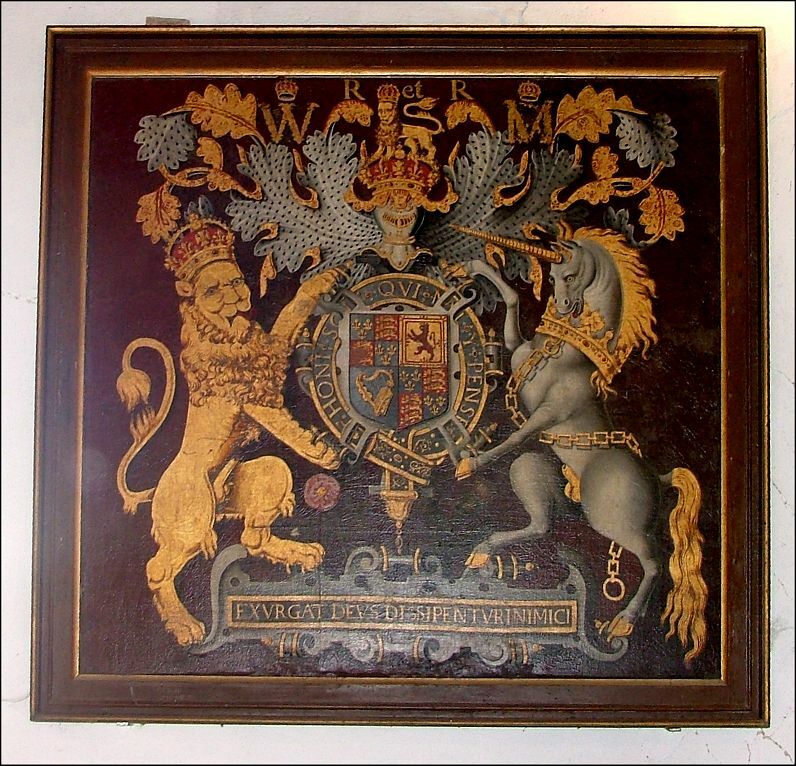 It is designated for William and Mary, with 'R and R' and crowned W and M surrounding the larger crown at the top. However, if you look closely, you can see that there is another letter behind the M, supporting the crown. This is an R, betraying that this is actually a reused set of arms for an earlier monarch, certainly a Stuart, and almost certainly Charles I. 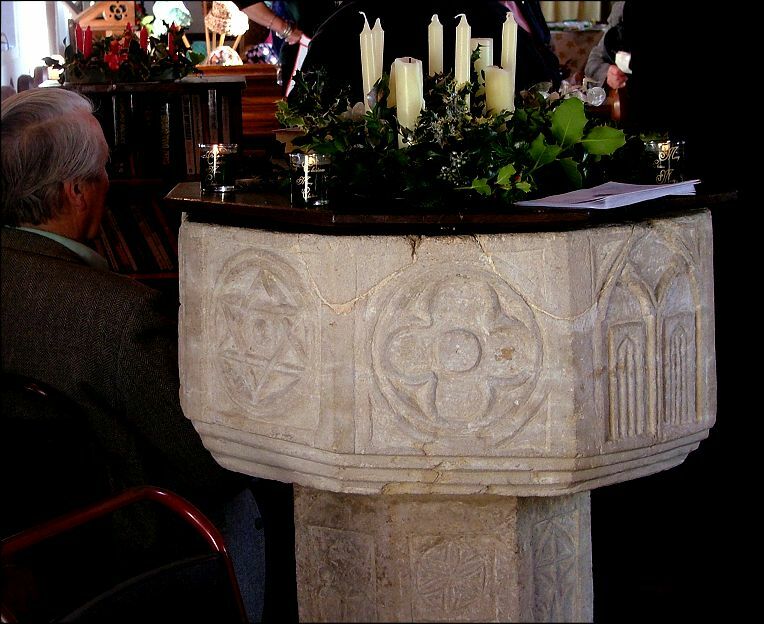 On my way to the royal arms, I found that the one surviving medieval feature here, the beautiful traceried font, was indeed surrounded and obscured. Never mind, that's an excuse to go back. And across the nave from it is something rather interesting, a memorial of 1926 remembering Frederick Victor Duleep Singh. 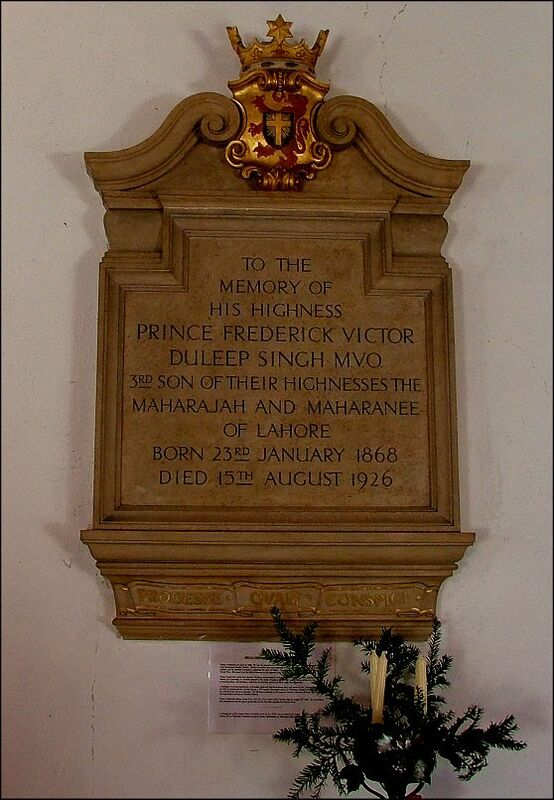 We have already met his father, the Maharajah Duleep Singh, over the border at Elveden, but here is the son. Fabulously wealthy, feted by royalty and spoilt as a child (his Godfather went on to become King Edward VII), Frederick Victor lived at Blo Norton Hall, one of the major late medieval Halls of East Anglia. Pevsner thought the memorial was hideous, but it has a quiet grandeur, and the star-crowned lion at the top recalls the fusion of east and west in an extraordinary chapter of East Anglian history. While I was contemplating this, the raffle was being called. Some people had already left; but, since everybody knew everybody else there, it presented no difficulty for a friend to select something appropriate from the prize table and promise to deliver it later. Soon, it got down to the last ticket, and a brief silence and a shock of recognition made me fumble in my pocket for my strip. I looked at it. I had won. And so it was that I left Blo Norton, clutching a large spice rack, knowing I'd never forget the place.